Outlandish is set to perform at the 10th version of Reviving the Islamic Spirit convention which will take place in Canada, December 23-25, 2011 at Metro Toronto Convention Center. Other notable performers at this year's RIS Convention are Sami Yusuf, Shaykh Mishary Al-Afasy and Ali Haider. Outlandish has officially kicked off its 2011 "Cornershop Carnival" in Viborg, Denmark. The concert which was scheduled yesterday (Friday, Mars 25th) at the same time as the popular "X Factor" show didn't go unnoticed and had its fair share of attendees. 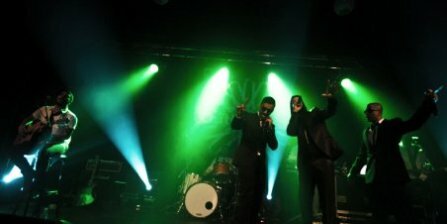 Outlandish performed for the first time songs such as "Better Days" and "TriumF" from their soon to be released 2011 album. The concert was also a chance for both band members and the crowds to pull a birthday prank on Waqas Ali before singing a birthday song for him. Unfortunately we couldn't find videos from the concert yet, but we hope the following photo album would be good enough to give you a preview of what the concert looked like. Check it out!! The dance hit single Desert Walk by KATO featuring Outlandish was nominated for a Dancechart.dk Prize at this year's Danish DeeJay Awards. You can help Outlandish and KATO win the prize by casting your vote here. The deadline for the votes is April 17, The winners will be announced at the DDJA show April 24 2011. "TriumF", the new single from Outlandish' forthcoming album premiered today on Danish record company Labelmade's Youtube channel. The new single was produced by Providers who had numerous collaborations with Outlandish in the past. p.s Stay tuned for tonight's "TriumF" premiere performance at the 2011 UK Asian Music Awards. Follow the event here. Outlandish' last single off Sound of a Rebel "Let off some steam" was nominated for the hitlist of Turkey's most listened radio station Power FM. The official music video for Outlandish' new charity single "After Every Rainfall Must Come a Rainbow" premiered today on OL's Youtube channel. The video was shot in one night in Medley Studio Copenhagen, all people involved in the video worked for free. 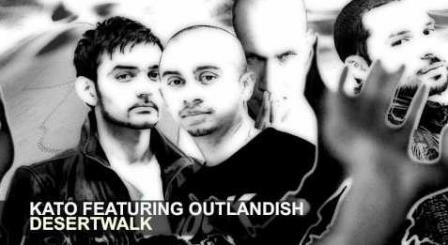 Outlandish "After Every Rainfall" - Download it Now! Outlandish' support single for Pakistan "After Every Rainfall Must Come a Rainbow" is now available on iTunes and you can download it from this link. Remember all profit goes straight to those in need in Pakistan. The official Music Video will follow shortly. The long-awaited music video for Desert Walk was released today by DJ Kato, the video was mainly shot in Rabat - Morocco. 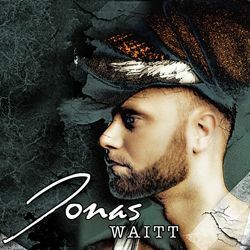 Outlandish long-time friend and band member Jonas Rendbo has released a new music video for his single "Two Times Love Is One" the video was produced, directed, filmed and edited in just 1 day by Waqas Ali. Please show your support to this talented artist by sharing this video wherever you can. In his latest publication on Metroxpress where he writes a regular column, Isam Bachiri revealed he and fellow Outlandish members had recorded a support single for Pakistan entitled "After every Rainfall". Outlandish will release and perform the new single in an event called 'Donate Your Day' which will be held in Copenhagen on September 25th, aiming to push everyone to donate to the needy victims of the floods in Pakistan. Outlandish is hoping to rise awareness about the situation of more than 20 million people affected by floods and to drive contributions to relief efforts in what has been called the worst natural disaster in recent history. Read Isam B's full column by following this Link (danish). Help Outlandish Win MTV EMAs 2010 Best Danish Act! Outlandish is nominated once again for the Best Danish Act in this year's MTV EMAs show which will take place in Madrid, Spain. The guys were nominated last year but lost to danish star Medina. Help Outlandish win this year's award by voting for them on the official MTV site (link below). You can vote as many times as you want, so keep voting until the 17th September 2010 which is the deadline. Today, Outlandish performed an astonishing acoustic medley of Aicha and Let Off Some Steam live for the "Go'morgen Danmark" show on Danish TV station TV2. The moros were backed by Vicky Singh on guitar and Marcus Liliequist on Cajon.